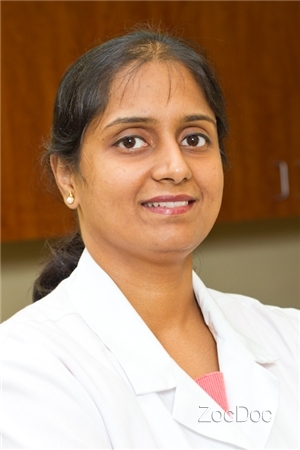 Dr. Shalini Thasma is a graduate of New York University College of Dentistry where she received training in all aspects of General dentistry. She also was a Dentist in India where she graduated from VMS Dental College, Salem. She practiced as an Associate Dentist in a Multi-speciality dental office for 2 years before coming to US. Dr.Thasma has worked as an associate in Philadelphia, Pennsylvania and DFW metroplex, Texas before establishing her own practice. Dr. Thasma preserves healthy teeth and gums, alleviates oral discomfort and improves the appearance of smiles on a daily basis. She has applied her unique blend of artistic and technical skill to produce durable and aesthetic results in many patients.She believes in more preventive and conservative type of treatment. Dr. Thasma is dedicated to lifelong learning through continuing education courses. She is licensed by the Texas State Board of Dental Examiners and is a member of the American Dental Association, Texas Dental Association, and North Texas Dental society. Dr.Thasma is married and has three children, two boys and a girl. Her hobbies include listening to music, cooking for her family and spending time with her children. She works in the local school as a volunteer when she has time and has participated in free local community health fairs as a service to the community.